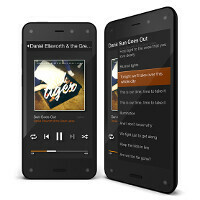 A little over a month from now, the first batch of Amazon's first smartphone, the Fire Phone, will start leaving the company's massive warehouses in order to land in the hands of the device's first adopters, and that means you have a fair amount of time to decide if it's a deal worth taking. As with most products out there, it means that you'll spend the majority of that time comparing the Fire Phone with what the competition has on offer. And it's probably not going to be such an easy decision. Indeed, at a glance, the Fire Phone is an expensive device that doesn't necessarily bring the full flagship stack of hardware, though it's not off by too much, either. What's more, on top of the definitely good specs it sports, the Fire Phone comes with a number of novel/proprietary features and services, and those should be part of the entire equation. For example, you get a free 1-year subscription to Amazon Prime, a super quick and quite effective customer service (Mayday), unlimited photo cloud storage, and Amazon's all-new Firefly service. And the cherry on top? A 3D screen made possible through the constant work of four front-facing cameras that track your face and communicate with the screen in order to shift the perspective as you tilt your head left and right, up and down. So how does all that compare with two of the year's current hard-hitters, the Samsung Galaxy S5 and the LG G3? Well, while those definitely bring some freebies of their own, it's probably safe to say that neither really has as extensive a mix. That said, they do bring higher-spec'd hardware, and that will inevitably sway some away from the Fire Phone. Check them out. Meanwhile, Spain are getting thrashed... again! Absolutely rubbish defending from them. What the hell this have to do with Spain? Because Amazon forest in brazil were Spain is playing! I was enjoying the presentation right up until the end. I like innovative and fun features over the "spec race" and really thought they had something. Then they announced that it was a carrier exclusive and that they weren't tackling the issue of flagship pricing. Ultimately left me rather disappointed.